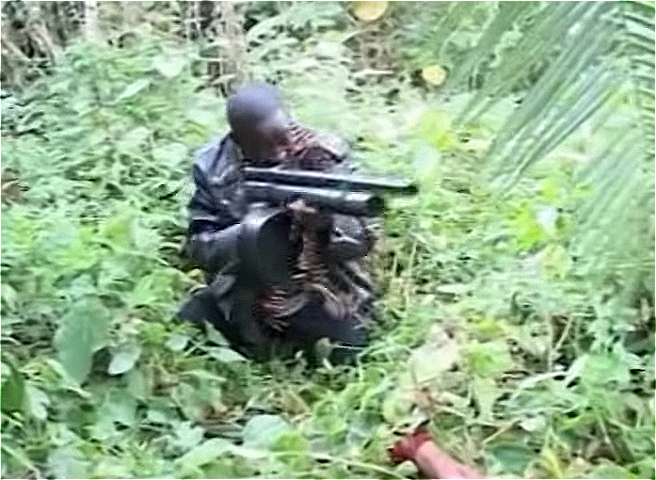 Captain Alex (Kakule Wilson) is supposed to get rid of the Tiger Mafia. But after the army succesfully captures the Mafia leader’s (Sserunya Ernest) brother, they get attacked in return and Alex is killed in the raid on the army camp. His brother takes up the mantle to revenge Alex’ death. 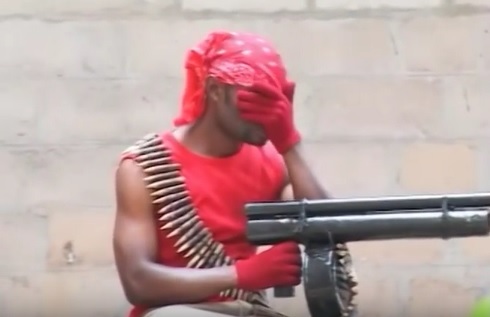 Who Killed Captain Alex? is the second Wakaliwood film they showed at the /slash (the first being Bad Black), but it is the first Wakaliwood film ever (you can watch it here in its entirety) and it shows, particularly in the veejaying that doesn’t quite flow as well as in the later film. I really wish that they had programmed the films the other way round, showing Captain Alex first and after that Bad Black. 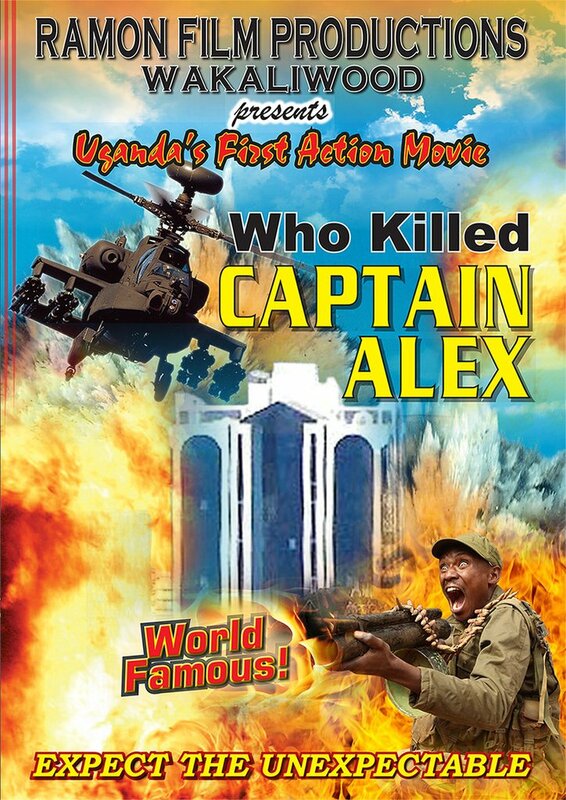 For one, Bad Black references Captain Alex in the first few minutes (although it really isn’t a sequel to that film), but more importantly the veejaying: Captain Alex wasn’t only the first action movie made in Uganda, it was also the first English veejaying gig for VJ Emmie (and actually for all of Uganda as far as I understood it) and there has been a distinct improvement from this film to Bad Black. I would have prefered the curve to go upwards in the course of the evening than the other way round. But it’s not just the veejaying that has grown better in the six years between this film and Bad Black: the storytelling here is much more bumpy (generally there is very little story to begin with) and the second half is basically one long shoot-out and I’m not really a fan of that. Nevertheless, Captain Alex was an absolute experience to watch and even though the film only started around 2.30am, I didn’t regret staying in the cinema to watch it. The film is a great reminder of the power of DIY, even when the result doesn’t look at all like what professionalists would have achieved. That isn’t the point at all anyway and nobody cares about that. But the joy and the enthusiasm that’s apparent in every scene: that’s incredibly infectious. Summarizing: Watch it. Just do it. You know you want to. This entry was posted in movies and tagged /slash Filmfestival, 2010, Bisaso Dauda, Faizat Muhammed, G. Puffs, Kakule Wilson, Kasumba Isma, Kavubu Muhammed, Nabwana I.G.G., Sserunya Ernest, Who Killed Captain Alex? by kalafudra. Bookmark the permalink.